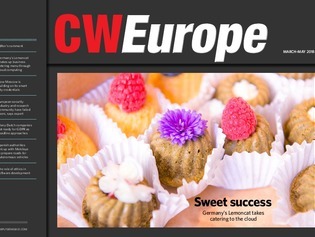 In this issue of CW Europe, we look at a company that is disrupting the catering sector by using the latest IT. Lemoncat chose Berlin for its headquarters because it felt the city offers the right environment for tech workers to live and work. For example, rents are not astronomical, and there are lots of good universities as well as an international community. Lemoncat wants to do in the business sector what the likes of Deliveroo, Delivery Hero and Just Eat have done in the consumer market. Read an interview with the company’s founder about why she chose Berlin and how she is using technologies such as Amazon cloud and Salesforce.com to make big strides into the business catering sector. Meanwhile, in Moscow the government is trying to take advantage of the city’s high penetration of broadband and mobile internet to become an even better smart city after its own investigations found it was already better than it had thought compared with other European cities. Read an interview with the head of a division of the city’s IT department for an update on the progress the Russian capital is making on its smart city journey. According to international consultancies such as KPMG and PwC, Moscow is already one of the world’s top 10 smart cities.